It Cosmetics My Sculpted Face Palette. PLEASE NOTE: Three of the shades have been very lightly swatched with a sterile brush for color testing purposes. The product has never come in contact with the skin. Additionally, this does not come with the plastic insert. "A universal naturally pretty contouring palette that gives you the power to bring out your most beautiful features, and even hide the ones you want to minimize. 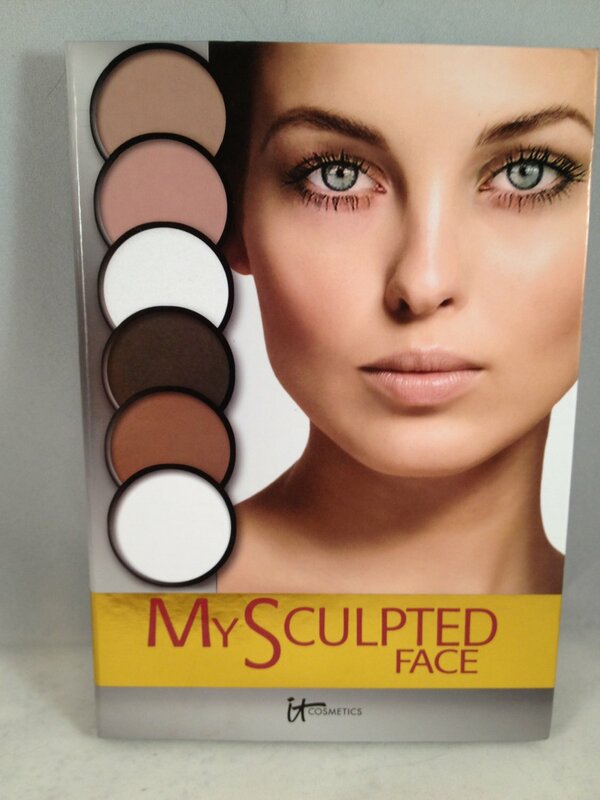 Whether you want to bring out your cheek bones, slenderize your nose or forehead, look more lifted, hide a double chin or simply learn how to embrace your unique features, this palette complete with detailed instruction guide will be your beauty best friend!" The fill weight is 15.28 g / .54 oz. This retails for $38.